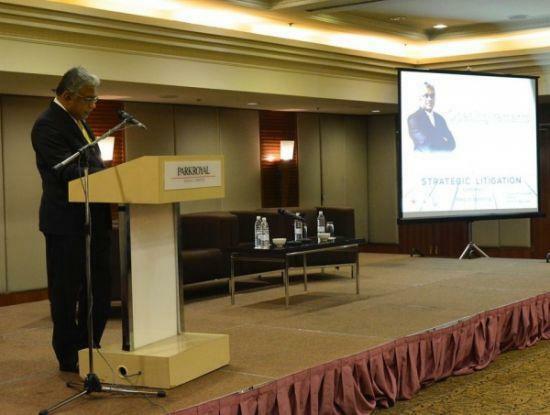 Opening remarks by George Varughese, Vice-President of the Malaysian Bar at the recently concluded Strategic Litigation Conference #SLC at PARKROYAL Kuala Lumpur. #SLC is jointly organised by the Bar Council’s Human Rights Committee (BCHRC) and Malaysian Centre for Constitutionalism and Human Rights (MCCHR). Firstly, thank you very much for giving me this opportunity to address you this morning. I am very encouraged to see all of you – members of the Judiciary, lawyers, civil society, law students and interested individuals – wanting to learn and share your experiences and views about strategic litigation in Malaysia. This Conference marks a four-year effort in training lawyers in the area of strategic litigation. Since 2012, the Malaysian Centre for Constitutionalism and Human Rights (MCCHR) together with the KL Bar, the Bar’s National Young Lawyer’s Committee and KPUM (Kesatuan Penuntut Undang-Undang Malaysia di United Kingdom dan Eire or also known as the United Kingdom and Eire Malaysian Law Students Union) have organised a total of six workshops to train lawyers, pupils, and law students to approach human rights litigation strategically. Many have asked me what is “strategic litigation”? Is it the same as “public interest litigation”? The simple answer is “yes”. Strategic litigation means the same thing as public interest litigation. It is essentially using the power of the Courts to change laws and policies to defend and promote constitutional protections and human rights. It goes a step further than your individual client justice – it seeks social and legal change, which will have an impact on the larger population. Strategic litigation is not something new in Malaysia. You are probably hearing more of it because we are trying to mainstream and enhance our efforts in the recent years. We have been using the Courts to enforce human rights of groups and the community as early as the 1980s or even earlier. For example, in the 1980s case of Lim Cho Hock v Government of the State of Perak, Menteri Besar, State of Perak and President, Municipality of Ipoh – a group of 10 plaintiffs filed a suit to challenge the development of a piece of land, which they claimed should be not be developed but should be left as an “open public space” in Tawau. Although the case involved the issue of locus standi, this case exemplifies the pursuit of strategic litigation where the goal of the case included not only the interest of the plaintiffs but also the community’s rights to use and enjoy open public spaces. Since then, the evolution of strategic litigation cases has brought us to landmark judgements such as that in the UKM4 case. This case saw how section 15(5)(a) of the Universities and University Colleges Act 1971 (“UUCA”) was challenged on the basis that it contravened freedom of expression guaranteed in article 10(1)(a) of the Federal Constitution. The said section was held to be unconstitutional by the Court of Appeal because it “impedes the healthy development of the critical mind and original thoughts of students”. This resulted in the repeal of section 15(5)(a) of the UUCA. I think all of us here share a common want – we all want to change the human rights landscape for the betterment of everyone living in Malaysia. Human rights is a visionary concept – it looks forward and seeks to advance humankind. Similarly, human rights jurisprudence in Malaysia should develop in a progressive manner. In this regard, we must look at the human rights jurisprudence at the international level for guidance and to ensure that we meet Malaysia’s obligations under the international human rights conventions that we are a party to – the Convention on the Elimination of All Forms of Discrimination Against Women (CEDAW), the Convention on the Rights of the Child (CRC), the Convention on the Rights of Persons with Disabilities (CRPD). The use of international human rights law and jurisprudence in litigation is important in the strategic litigation framework. The human rights standards established by international human rights conventions provide a minimum standard on how we live our lives and it is a yardstick against how we measure our laws and policies. Additionally, it is our government’s international commitment to promote, respect and protect human rights. 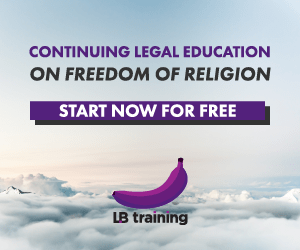 The case of Noorfadilla exemplifies this – the High Court held that the revocation of placement of a relief teacher because she is pregnant was unconstitutional. This was a landmark judgement because in its ruling, the Court upheld the principle of gender equality under article 8(2) of the Federal Constitution and affirmed Malaysia’s commitment (to gender equality) as a party to CEDAW. This decision is ground breaking and a big win in the area of gender equality in Malaysia, particularly maternity rights. The Universal Declaration of Human Rights (UDHR), which the UN calls it “a brief spell of enlightenment in the 20th century” is important for various reasons – it is an instrument that paved the way for the adoption of more than 70 human rights treaties today, and it was the first time, the world acknowledged the universality of human rights. This means human rights belong to all people equally regardless of race, religion and other status. As article 1 of the UDHR states, “Everyone is born free and equal in dignity and rights”. I am stressing this because today, the universality of rights continues to be an illusion – the reality is that some are more equal than others, some have more opportunity than others. And more often than not, it is the marginalised groups that enjoy fewer rights and have fewer opportunities. This is the heart and an ambitious goal of strategic litigation – to make human rights real for everyone. Strategic litigation is one of the many ways in which we can ensure the protection of human rights of all persons. We can use the domestic courts to effectively safeguard human rights – to ensure that everyone, regardless of their status or way of life, are treated with respect and dignity; that journalists, students and film makers have the right to express their opinion through articles, films and art; that individuals and communities should not be unreasonably restricted from practising their religious beliefs. It would not be complete if I do not mention the important role the Judiciary plays in closing the gap that exists between guaranteed fundamental liberties and the actual situation. According to Malaysia’s first country-specific Human Development Report 2013, women are still paid less than men for similar work; the income between urban and the rural citizens has increased; and the Orang Asli and the Orang Asal remain the most vulnerable group in Malaysia. In addition, there are more than 3,000 reported cases of domestic violence this year alone; and those who do not appear to fit within our conventional norms continue to be persecuted. As expounded by the UN Basic Principles on the Independence of the Judiciary, judges are “charged with the ultimate decision over life, freedoms, rights, duties and property of citizens” (Preamble). As such, the Judiciary can ensure that the marginalised section of Malaysia’s community have access to justice and enjoy their rights. The Courts can progressively shape the human rights jurisprudence in Malaysia to ensure that women and men are treated equally, that workers’ rights are not exploited in the name of profit, and that economic and social rights such as housing, clean water, education are enjoyed by all sectors of the Malaysian society, and not only the privileged few. The work of improving the human rights situation in Malaysia is the work of collectives – of lawyers, civil society and the Judiciary. Therefore, strategic litigation is not only about strategies in Court. When we were designing the programme for today’s Conference, we wanted it to be a holistic one where it is not only about the lawyers and the Courts. Because strategic litigation is concerned with the effects that these cases will have on society at large, it is important to remember that it is part of a larger mobilisation strategy. In this instance, the collaboration between advocacy in the Courtroom and advocacy and mobilisation outside the Court is essential. This is where civil society plays an important if not a pivotal role in ensuring victory within the Courtroom and at large. Changing public attitudes could be instrumental to any victory within the Courtroom. Therefore, attention generated by filing test cases is an effective way of attracting media interest and to get the media involved in the cause. The attention and awareness would not only foster discussion on the issues but could also become support. In addition, filing test cases creates a record of the injustices that underlie these cases; even if these cases do not succeed, violations of human rights are highlighted and could potentially lay a foundation for future efforts to succeed. I think the challenge for us here in Malaysia – for all the stakeholders now – is to have a coherent long-term strategy. In South Africa a group called ‘Lawyers for Human Rights’ filed 136 separate cases (involving 167 clients) to challenge the unlawful detention provisions in the Immigration Act 13 of 2002. What they discovered in South Africa was that continued and persistent involvement of a civil society organisation on one specific human right or issue had built the organisation’s expertise on the specific issue. In addition, working on a large number of similar cases, gave the said organisation the opportunity to strategise in terms of identifying which cases are ideal and when to commence litigation. I’ll leave you with two questions to consider for today’s Conference – Do we need to take a leaf out of South Africa’s book and engage in incremental litigation to have maximum impact on a specific human rights issue? Is it time for civil society and lawyers to bring a number of cases to enforce a particularly human right standard? All that I have said earlier – our wish for a better human rights situation in Malaysia, the importance of progressive development of human rights law in Malaysia, the UN human rights conventions, the UDHR and the need for all of us to work together – can only be achieved if we engage into deeper study of the law, human rights and advocacy. Human rights is a disciplined movement. Discipline in this instance has several dimensions. Firstly, the discipline that human rights demand is a thorough study and appreciation of its principles and ideas. Any opportunity to learn and to better oneself should always be seized with both hands – we should always remind ourselves that life itself is a learning process. At this juncture, I am heartened that the strategic litigation trainings that have been organised for the past four years have been well received. Such training should continue with greater vigour. Secondly, advancing human rights through strategic litigation is a long and involved process, with almost a guarantee of roadblocks and challenges. Whilst we all tend to be impatient and want to see quick success, clarifying laws that remain untested and challenging laws that violate human rights require us to be persistent and patient in the face of setbacks; any change in human rights requires sustained efforts over a number of years. Therefore, because we are all human rights defenders, regardless of whether in the role of a lawyer or civil society, we have the duty to continue to articulate and defend the rights of the vulnerable and the marginalised. Hence the theme of this Conference, ‘Keep on Knocking’. I would like to conclude by congratulating the Bar’s Human Rights Committee and the Malaysian Centre for Constitutionalism and Human Rights for successfully organising this Conference. Thank you for believing that strategic litigation can promote and protect human rights in Malaysia and for seeing the vision that this effort must be a collaborative one between lawyers, the Judiciary and civil society. Muhamad Hilman bin Idham & 3 Ors v Kerajaan Malaysia & 2 Ors  6 MLJ 507 (CA). Posted on 6 November 2015. You can follow any responses to this entry through the RSS 2.0. Glad to find the post. Thank you for sharing! It is basically utilizing the force of the courts to change laws and strategies to shield and advance sacred insurances and human rights.